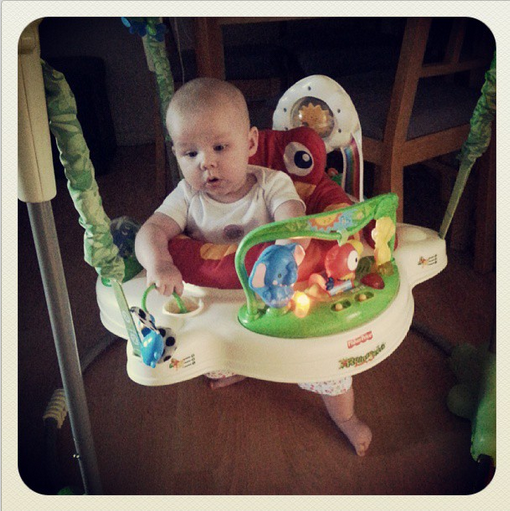 So after hearing lots of mums going on about Jumperoo’s I decided I couldn’t deny Baby a Jumperoo. I scoured Ebay and managed to get someone to sell me theirs before the auction had finished, bargain £40 brand new. Unauthorised spending, but will just tell hubby that her development will be severely hampered if she doesn’t have one…. Anyway the test drive went well.